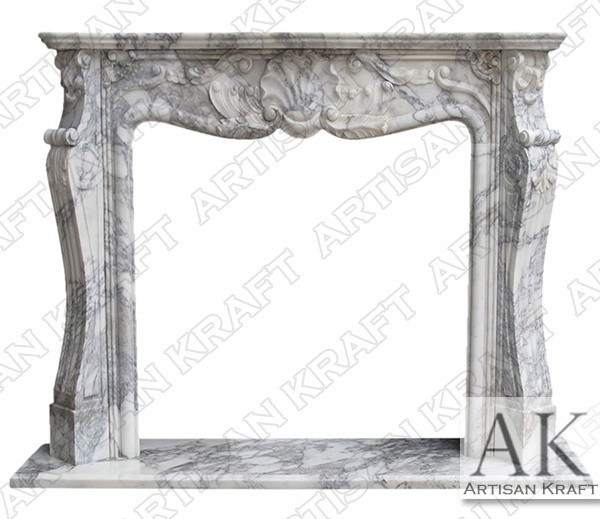 Ionic Albany marble fireplace surround gets is name from the capital city of New York. 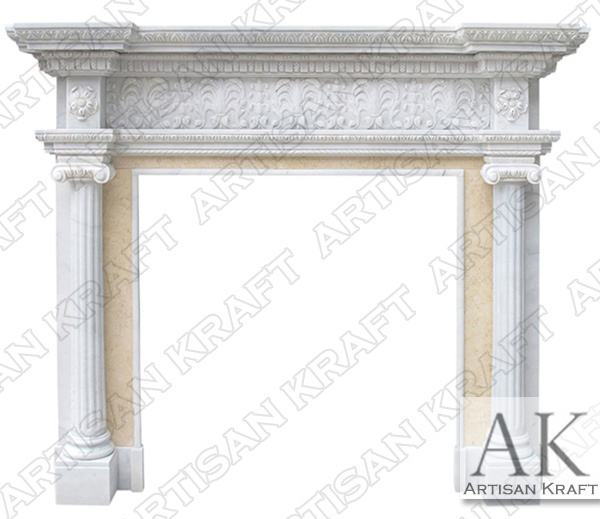 The capitals that are used on the marble fluted columns are Ionic but they can be other capitals such as the Tuscan or the Roman Corinthian. 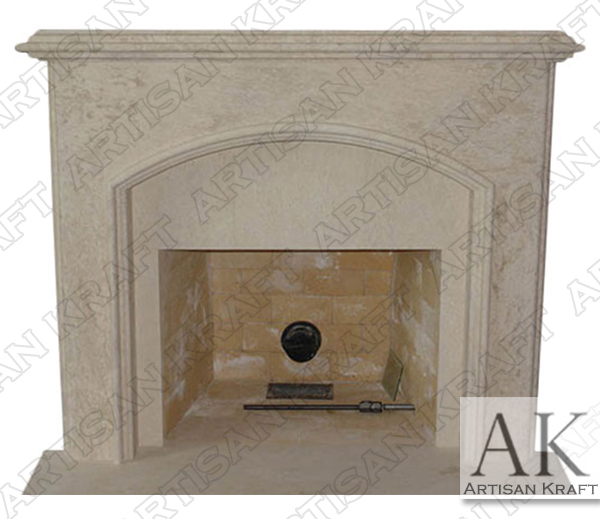 White and yellow marble were paired in this fireplace mantel giving it a very stately and regal look. Very fine carved by hand details can be seen in the frieze of the mantel shelf. The columns sit on two marble plinth blocks. 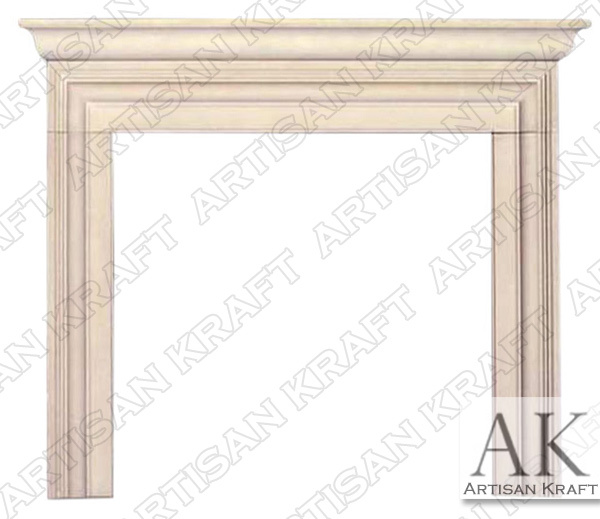 The Albany Fireplace Mantel is part of our Antique Fireplace Collection. 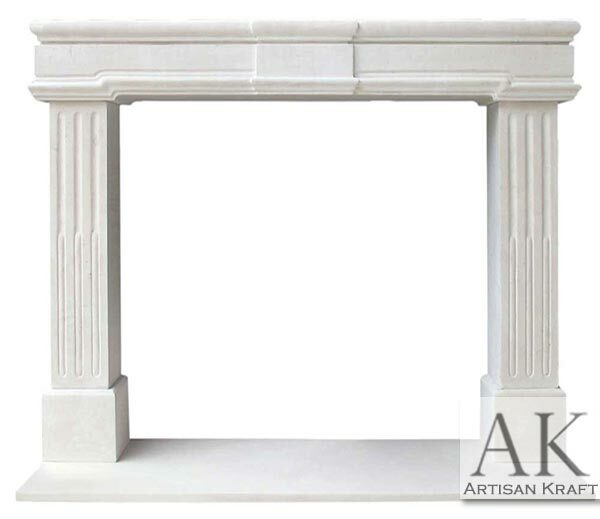 Typical Dimensions: 75″ wide x 56″ high x 14″ deep *can be made-to-order.